What do you mean, the one without the Gannet? They’ve all got the Gannet! My new birding friend, Laura Erickson took some fabulous photographs while on the pelagic birding field trip at the Space Coast Birding and Wildlife Festival last week. 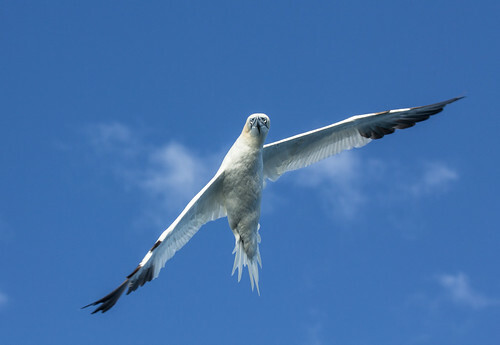 Here’s her blog page for her Northern Gannet photographs. Here’s a teaser… follow the link above for the blog post (and the rest of her blog is fabulous). Photograph is © 2013 Laura Erickson. Posted on 2013 February 12 2017 February 8 by Lonely BirderPosted in SCBWFTagged bird photos, Birding, Laura Erickson, northern gannet.